It’s been awhile since I posted but I am back with some cards. These two use materials from the nail-it bundle from Stampin’ Up! This would include the hammer, designer paper (on right), the tools and the hexagon stamped with the same set. The one on the left has designer paper that will be available June 1-it is called Wood Words. These two also use products from the nailed it bundle. The one on the right uses the 3-D Hexagon Embossing folder done with silver paper. 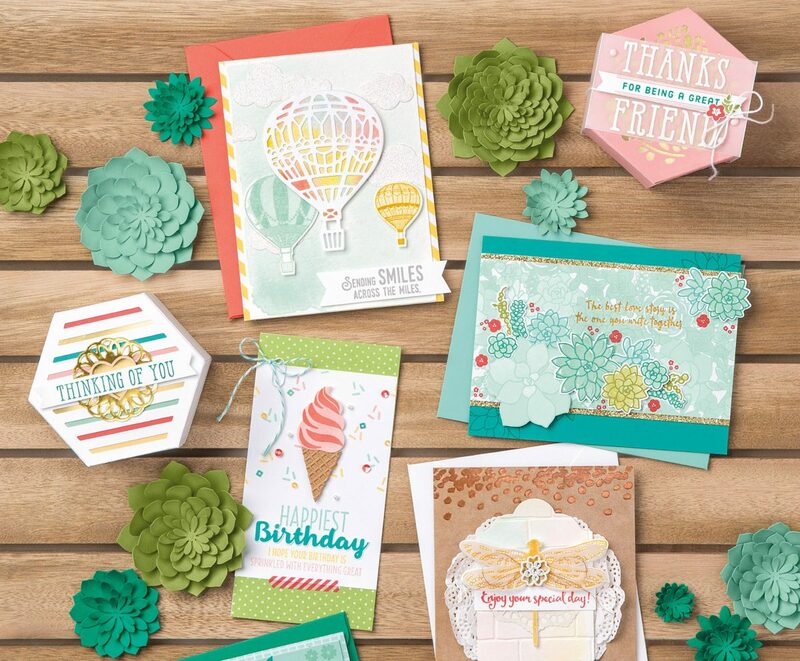 The greeting comes from the set Suite Sentiments and has greetings for many occasions. It is still available until May 31. These two cards are made with some older stamp sets but are great for masculine cards. I used the “dragging” technique on the one on the left side. I saw a similar card so I learned the technique. I CASEd it. The one on the right uses a background stamp and I shaded the edges on the card and it makes for a nice effect. The card on the left, I again CASEd and I used the Playful Background set to get the camouflage look. This stamp set is available now and will carry over to the new Annual Catalog. The card on the right uses some designer paper which is retiring. I stamped directly on the dsp using the Wetlands Stamp Set which is also retiring after May 31, 2017. One last card for today, a graduation card. I used a combination of various materials, some you may already have. Thank you for reading my post. Don’t forget the retiring products are gone after May 31. But the good news is there are a whole bunch of new products coming out in the catalog effective June 1, 2017. Here is a link to my on-line store: http://darleneseitz.stampinup.net. You can see all the new products and carried over products there on June 1, around 12MT.